What is increasingly clear is that it’s no longer just the technology industry that is in search of new standards to help them navigate the digital world. Today, every business is a digital business—or will need to become one to continue to survive. We’re seeing this reflected in how much The Open Group membership has grown—and diversified—over the past few years. In 2018, in particular, we saw significant membership growth throughout the year, with at least 30 new organizations joining each quarter. Member representation is no longer primarily from the technology and IT vendor communities. Today, our newest members are coming from a variety of industries that we might not have expected to have interest from just a few years ago. These include industries such as oil and gas, pharmaceuticals, petrochemicals, pulp and paper, food and beverage, utilities, and commercial aviation among others. This tells me that we’re doing something of significant interest and value to these organizations and providing a place for them to work together to solve the issues they are facing as digital organizations. As The Open Group flagship standard, the TOGAF® Standard continues to be in high demand across the globe. There are now more than 85,000 people certified to TOGAF 9 throughout the world, and that continues to grow at a rate of approximately 1,000 new certified individuals per month on average. What maybe a surprise to some of you is that our UNIX® Certification Program also continues to attract new certifications, including a number of these during 2018. Certifications for standards such as ArchiMate®, IT4IT™, and Open FAIR™ continue to increase as well. On the topic of certification, one of the significant changes we made during 2018 was actually in our Professional Certification Programs for Open Certified Architects (Open CA) and Open Certified Technical Specialists (Open CTS). 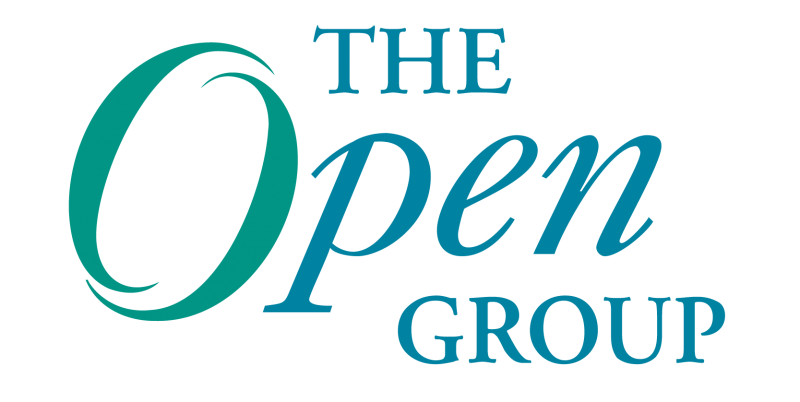 Using The Open Group Open Badges digital credentials program, individuals seeking professional certification as either a Certified Architect or Certified Technical Specialist can now achieve their certification in stages by working toward a requisite number of badges required for each program. We’re very proud of the work that has gone into creating milestone badges for these certifications—and we are looking forward to the launch of a new professional standard for Data Scientists early in 2019, as well. Open Badges for certification to many of our standards, such as TOGAF, ArchiMate, IT4IT, and Open FAIR are also now available. In April 2018, we launched the new version of the TOGAF Standard, Version 9.2, and in October, we followed up with a survey about the standard to more than 1,000 Enterprise Architecture practitioners. The survey strongly confirmed the direction that our Architecture Forum has been following to restructure the TOGAF Standard to be more modular and to include more guidance for implementation and specific use cases. The TOGAF Body of Knowledge continues to grow, and we will continue to provide the guidance which the industry is clearly asking for as we evolve the standard. The Open Process Automation™ Forum (OPAF), which was launched just two years ago, saw significant progress and growth throughout 2018. In January, the Forum launched its first Business Guide, and they have been working toward their first standard over the course of the past year. We expect the Preliminary Standard to be published early in 2019. Part of the work OPAF accomplished during the year was the publication of their technical reference model as a Snapshot. A Snapshot is our way of publishing a document which shows the general direction in which a standard is evolving, and seeking comments. This was one of several Snapshots published by The Open Group in 2018. We also saw Snapshots from the Healthcare Forum in the form of the HERA (Health Enterprise Reference Architecture); a Reference Architecture from The Open Group Sensor Open Systems Architecture Consortium; the Date and Property Core Index Extensions to the O-DEF Standard; and, from the Digital Practitioners Work Group, a Snapshot of its Digital Practitioner Body of Knowledge™ (DPBoK), which includes requirements for being a Digital Practitioner. As mentioned previously, we’re seeing new interest in standards from a variety of new industries. In 2018, we saw the publication of the Commercial Aviation Reference Architecture Preliminary Standard, which was based, in part, on a contribution from CapGemini originating from its work with Lufthansa. We also saw the formation of a new Forum in 2018 – the Open Subsurface Data Universe™ Forum, which will be working toward creating a standard data platform which will bring together exploration, development, and wells data, initially for those in the oil and gas industry. This standard will be taking advantage of another step we took in 2018—the addition of a principle to our standards process that encourages executable standards. This bringing together of what is often open source code with our open standards—two things that are often confused in the industry—promises to be yet another evolution that will allow our standards to meet the needs of the digital marketplace. For some time now, The Open Group has been working with the Indian government on a new national standard to help the government achieve its goal of Boundaryless Information Flow™. This IndEA standard was published towards the end of 2018, and you should expect to hear much more about it throughout 2019. It represents a significant opportunity for The Open Group ecosystem. Also formed toward the end of 2018 was a new Work Group focused on Agile Architecture. As Agile Development practices have grown in organizations worldwide, we have encountered many questions about how—or whether—Enterprise Architecture and Agile Development can be used together. Expect to hear more about Agile Architecture too this year, including a framework for how to use architecture in an agile way. There were many other highlights in 2018 as well. We added a new Platinum member, HCL Technologies, in April. We saw the return of the global version of The Open Group Awards in April, which gave us a chance to acknowledge the hard work of many of our members over the past five years. Speaking of awards, we also held our event in Bangalore, India, in February, where representatives from eight different countries received awards as part of The Open Group Awards for Innovation and Excellence. In all, we had more than 15,000 people attend one of our physical events in 2018—and the numbers for our virtual events were far higher. Towards the end of 2018, we also launched our updated, responsive design website, which gets 2 million hits on average every quarter. One of the features of the new website that is of particular interest is our new portal for our Accredited Training Course providers. The new site includes everything our trainers and consultants need to know, all in one place. Our training community can look forward to hearing more about that in 2019, as well. Of course, all of this work cannot be done by The Open Group alone. It takes a village, as they say—or, in our case, an ecosystem of players that includes our members, be they customers, suppliers, government organizations, consultancies, academics, trainers, or consultants, that help us bring the message of open standards and Boundaryless Information Flow to the world. I’d like to take this opportunity to thank our entire community for their continued hard work. You continue to prove the value of our mission and the need to bring what we do to new industries and organizations. I look forward to our work together in 2019.